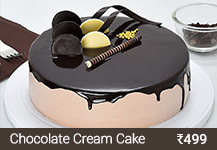 Pastries are the delicious treats that offer a melt-in-mouth experience and pleases your mind to the fullest. 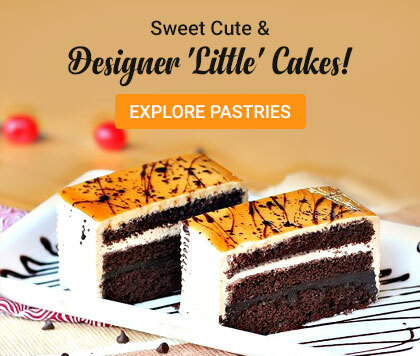 Be it a small gathering, housewarming party or night stay with friends, any moment can be made fun and interesting with the fresh and yummy pastries. 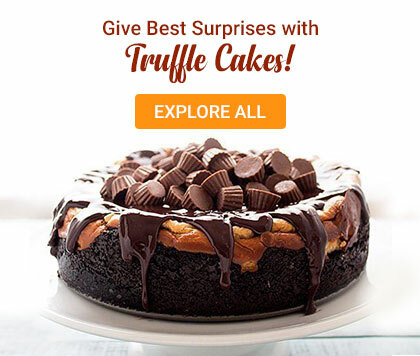 fnpCakes has come up with a comprehensive range of chocolate truffle, pineapple, red velvet and butterscotch pastries that are perfect to infuse sweetness in your special moments. 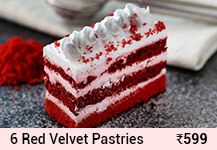 Buy pastries online by placing an order at our portal from the comfort of your home to indulge in a heavenly treat. 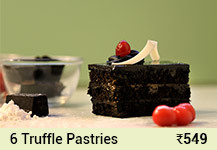 Our fresh baked pastries will melt slowly in your mouth and erupt the lava of deliciousness relishing your taste buds. 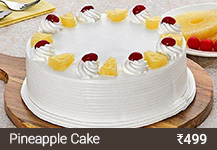 Apart from pastries, we also offer a variety of egg-based and eggless cakes in different flavors of pineapple, vanilla, fruit, truffle, butterscotch and chocolate. 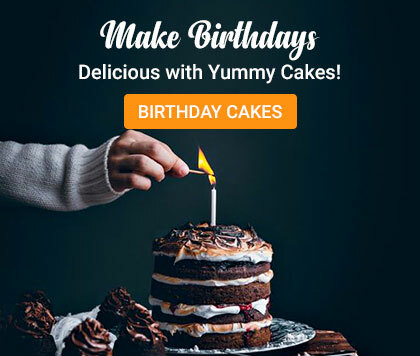 You can send cakes online to wish your loved ones on their special occasions, like birthday, wedding, anniversary and turn them into a memorable affair of their life. 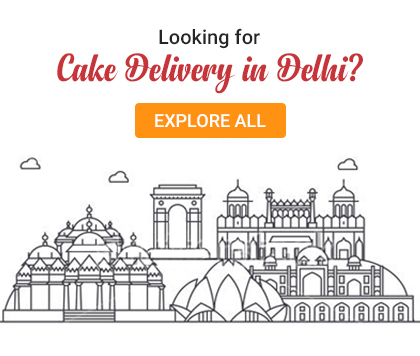 For the lovely people in your life who make it worth living, you can send our high-quality fresh pastries online to convey your love and affection towards them. 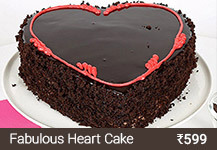 If your girlfriend demands for something sweet in the middle of the day or you want to apologize to a friend who is upset with you, send them luscious pastries from our website. 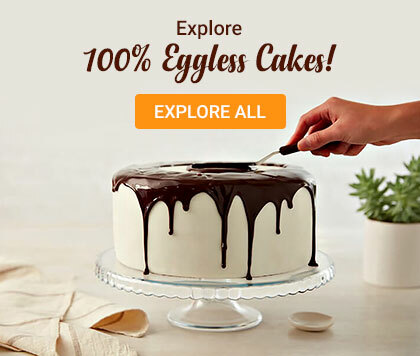 Whether you want to order desserts online to sweeten the bond of love with your sibling or add flavor to any celebration of life, our soft and fluffy pastries will always stand up to your expectations. 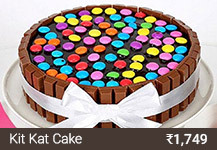 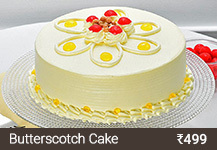 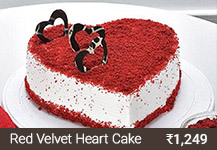 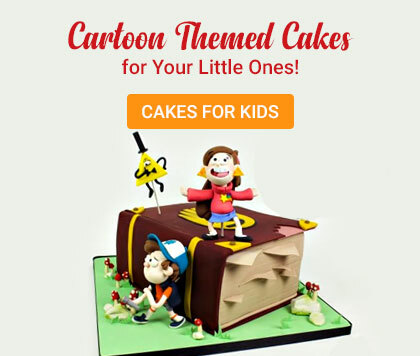 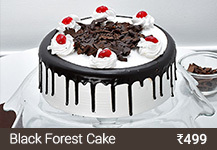 fnpCakes 'n' more is known for its fast and reliable delivery of pastries and cakes online in Delhi, Mumbai, Gurgaon, Noida, and other metro cities. 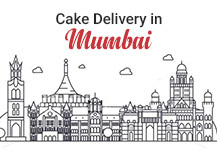 You can avail our same day, next day delivery service to send pastries to your friends and family to add charm to their important occasions. 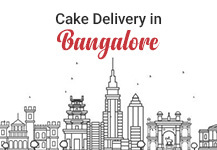 Our exclusive midnight delivery of pastries and cakes will allow you to surprise your sweetheart at the midnight of her birthday and put a big smile on her face.